So after some talk between some members on here, theres been a decision to start this thread for a FPR crush tool that will be used as a community favor/loan for people who would like to use it. 1. This is a tool no longer owned by one individual, you are not buying this tool, but using it with the intent to continue the goodwill of helping fellow 8th members out. 2. Person in need of tool will need to supply a small fee to cover shipping, $5 should cover anywhere in the 48 contiguous states, and is affordable for anyone. I guess shipping method is left up to the shipper. (I'm sure most people will agree PayPal is the preferred method, just make sure to send as a gift to avoid the PayPal fees). If anyone has anything to add or should be different, please let me or a mod(mucter perhaps) know so this thread can be edited to allow this service to be provided. 3. If there is a waiting list or such, please be considerate of the time taken with the tool. 4. Just to make things more fun, post who(username) and a general location of where you live to see how far we can get this thing going. ***8thcivic.com holds no responsibility for any involvement in this service. This is a great service provided by very helpful and generous members, do not abuse it. Also want to add that I take no credit for the idea of this. Thank you. Last edited by the sled; 06-20-2013 at 11:13 PM. 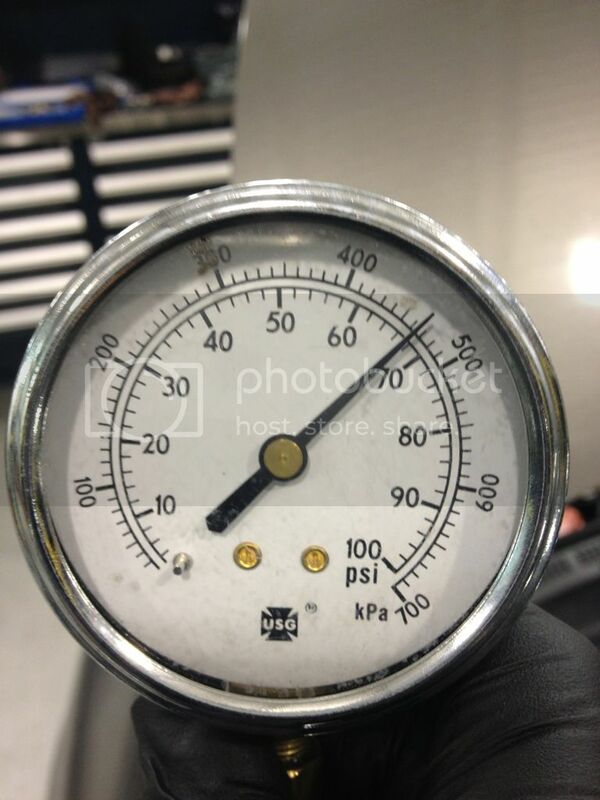 Also just for reference, I don't have the pic of before but was at about 54-55 psi, after crushed it was about 67-68 psi. I would like to use it when ever its avaliable, not sure who has it or who is next. Glad to see this is helping members out. Glad that tool is getting used! Hey guys was wondering who has the tool and how to get it? List saids Kccustom has it. Not sure if he passed it on or not. Got your pm one of a kind k20. My phone is geeking so couldn't pm you back. Don't have tool yet but it has been sent to me. Should see it tomorrow or the next day. Should be able to send out mid next week. That is if your in a hurry.